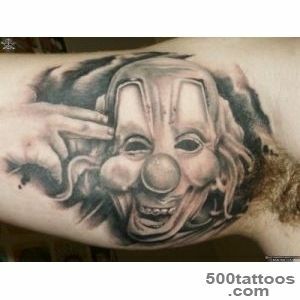 Tattoo clown has a double meaning. On the one hand, the clown all laugh, and thus he joker. 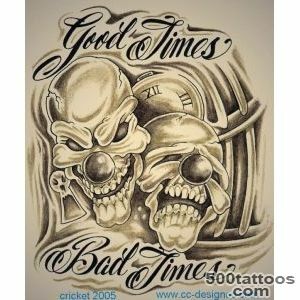 And on the other - from ancient times, people are laughing not only at good jokes, but also over the ugliness of people, their pain and fears. 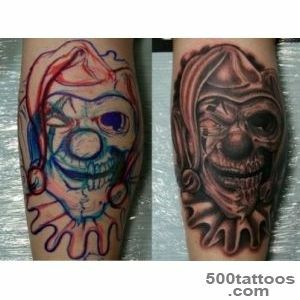 Sketch of tattoo with the image of a jester can be either black and white or color,by the grace of the picture does not suffer. 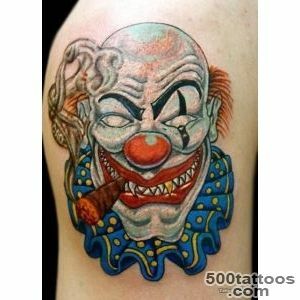 Clowns have always been favorites of the rulers - for sharp wit, sarcasm, and daring antics. 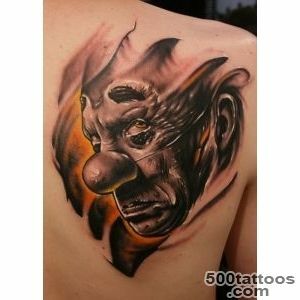 But little clown seldom became rich and noble, but the slap received in full. 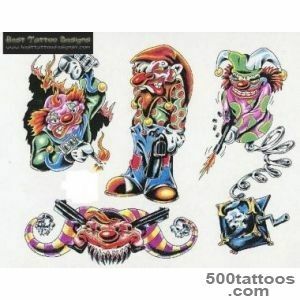 Dressed in cap and bells, he - a little tyrant, but it is also a victim of the crowd.There are several types of tattoo clown - the clown, the joker ( a joker card ), good and evil clowns. 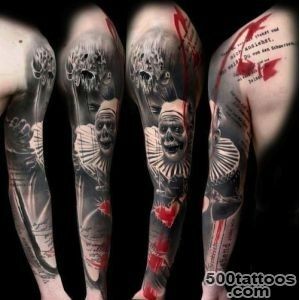 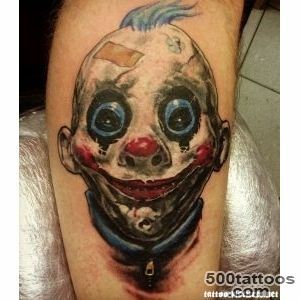 Meaning tattoo clown - humor, playfulness, talent, carelessness, variability of life, a game of chance, Mummery. 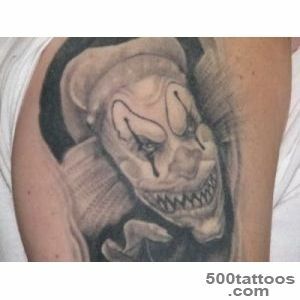 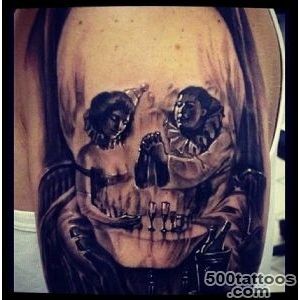 If the tattoo is depicted evil clown, like the devil, it is a symbol koulrofobii ( fear of clowns ). 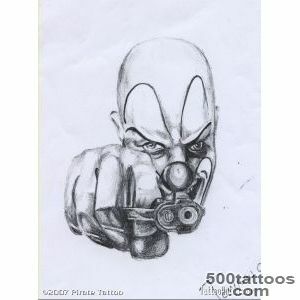 Usually,This betrayal sign of violence and fear. 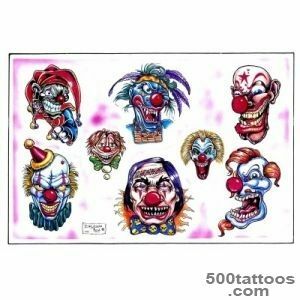 Clowns in a traveling circus has always been a source of joy, we created an atmosphere of stupid shed yourself dressed up as children : a red wig, brightly painted face, absurd clothing giant size. 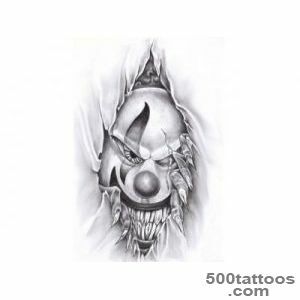 Tattoo laughing clown represents the victory over the difficulties and the prose of life, bright and unconventional talent,optimism and talent. 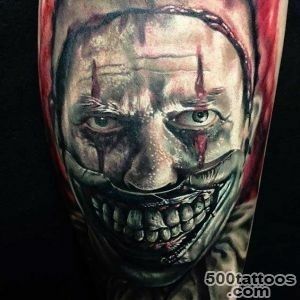 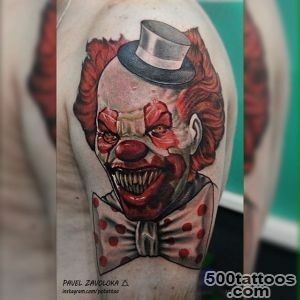 In our time are increasingly found a sinister clown tattoo depicting a character from a horror movie or thriller - so this image is full of negativity. 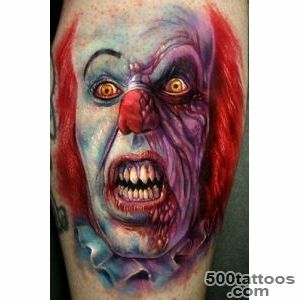 This may be a clown bandit, dead clown, clown killer - covered with blood, his eyes full of hatred, with a distorted face. 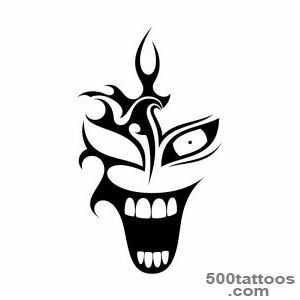 It is a true symbol of evil, monster,punishing the ordinary people. 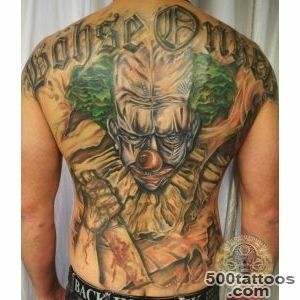 In the criminal world of the clown tattoo also has a negative connotation - a liar, a crook, dishonest player card scam. 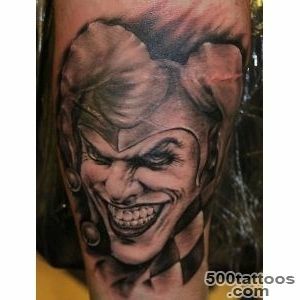 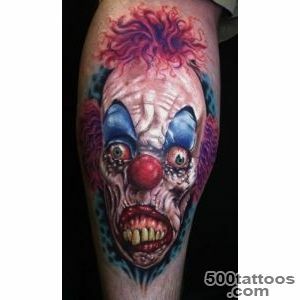 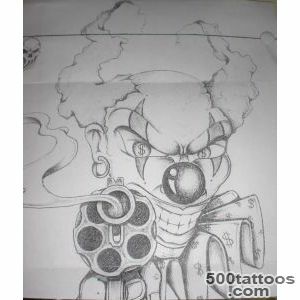 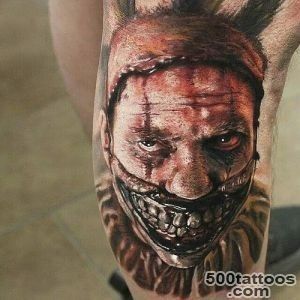 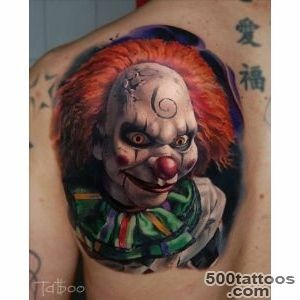 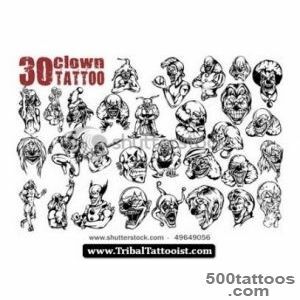 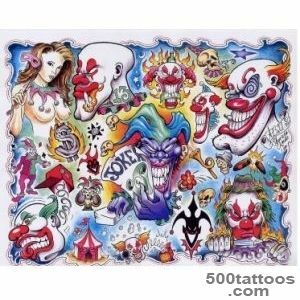 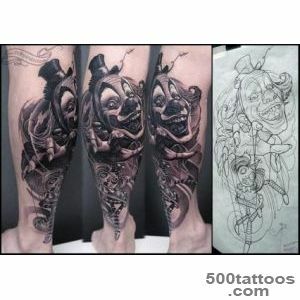 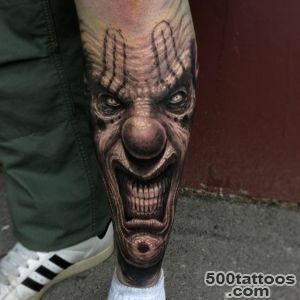 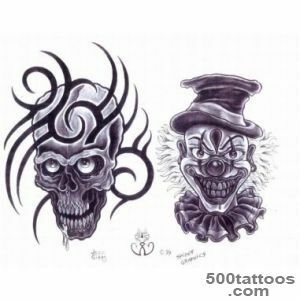 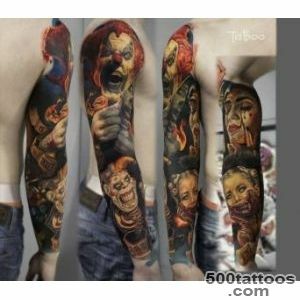 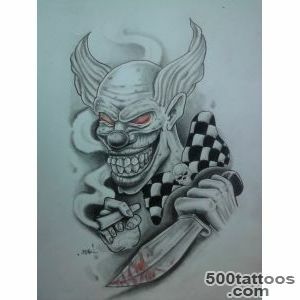 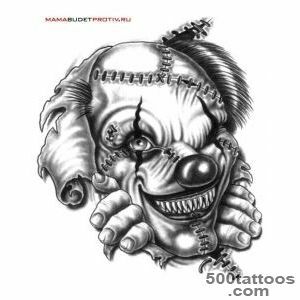 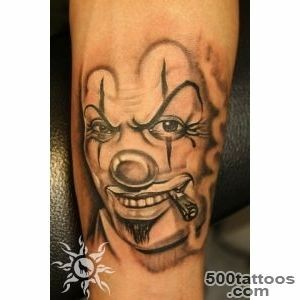 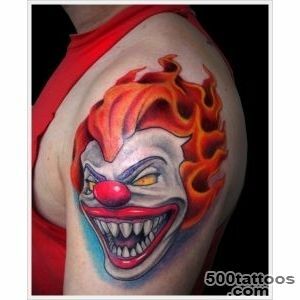 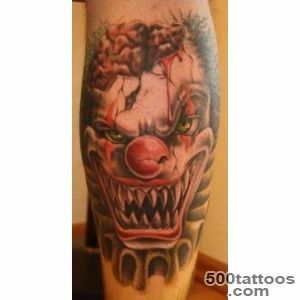 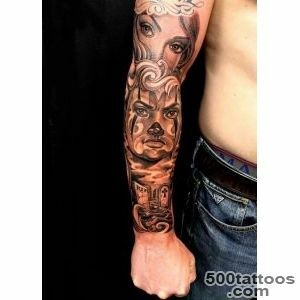 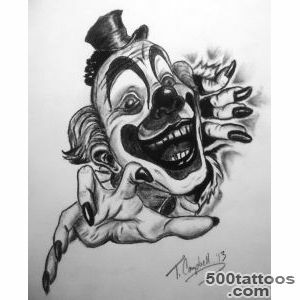 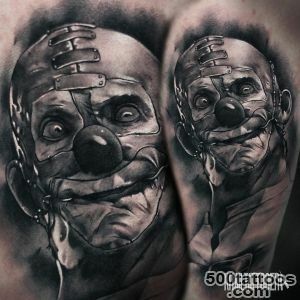 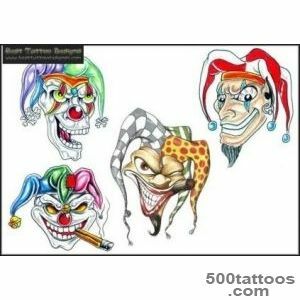 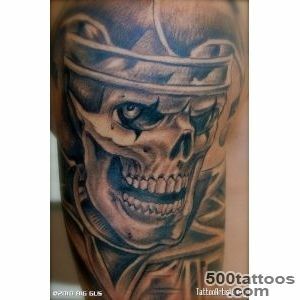 Evil clown tattoos are often chosen by men who are prone to aggression, consider the image of his " alter ego." 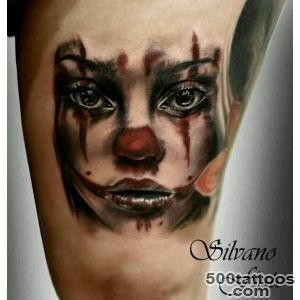 Another option - a sad, crying clown. 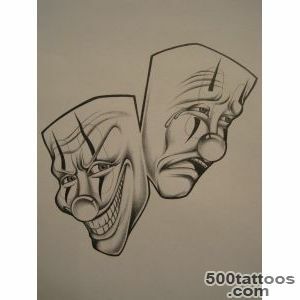 This image - a symbol of melancholy, roles,which he is forced to play a man against his will. 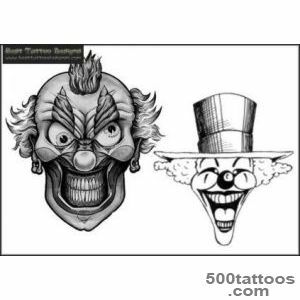 Good person, funny hat and tear-stained eyes. 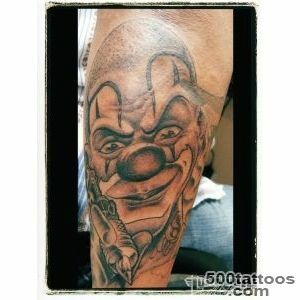 Regardless of the clown tattoo - men. 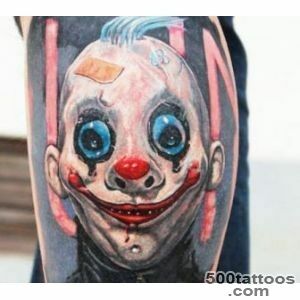 It can be a single color, but more often colored tattoo, very bright and noticeable.